Good news for all the applicants who are looking for Rajasthan BSTC Online Form 2019. 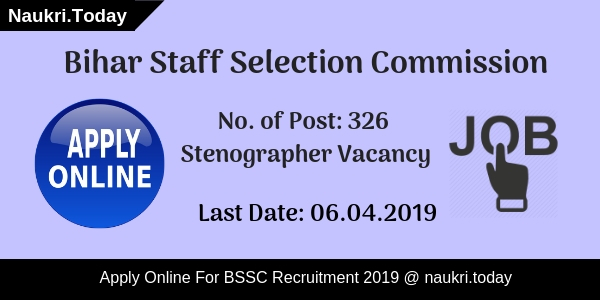 The Guru Govind Tribal University has released a BSTC 2019 notification for Primary Teacher Vacancies for General and Sanskrit subjects. Eligible & interested candidate who have passed 12th class from a recognized board can apply for BSTC 2019 Online Application Form. 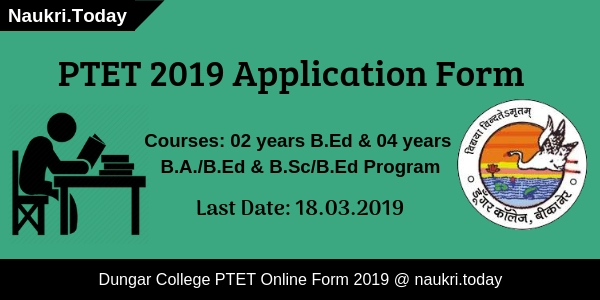 Aspirants can submit their online application form before the last date tentatively in March 2019 for BSTC General/ Sanskrit Pre Exam 2019. About BSTC: BSTC stands for Basic School Teacher Course, it’s a 2-year course, for which students can take admission just after completing 10+2 standard. Every year a huge number of students appeared in bstc test at various examination centers conducted by the education department of conducting university. After completing BSTC, the candidate will be eligible for taking the 3rd-grade teacher exam, conducted by the state government. Here we provide the BSTC eligibility criteria, age limit, selection process and how to apply on our web portal. Fresh Update as on 04.03.2019: Rajasthan BSTC Online form is going to release very soon. Participants who are interested can fill application form for Raj. BSTC Exam. For more updates applicants stay in touch with us. Fresh Update as on 21.02.2019: Dear Participants, Rajasthan BSTC Online form is going to release shortly in February 2019. Candidates may fill up their Rajasthan BSTC Admission Form 2019 from links given here. Applicants may collect eligibility criteria details from here. Candidates going to apply for Rajasthan Pre-BSTC Entrance Exam they must passed 12th (Senior Secondary) class or its equivalent exam with minimum criteria of marks given below for BSTC Admission Form 2019 Rajasthan BSTC Notification Online Application Form. General Category : Minimum 50% Marks. ST / SC Category : Minimum 45% Marks. OBC Category: Minimum 45% Marks. Physical Handicap Category : Minimum 45% Marks. Widow / Divorcee Women Category: Minimum 45% Marks. Participants age should not be less than 18 years and not exceeding from 28 years for Rajasthan Pre BSTC 2019 Online application form. There have no age criteria fixed for Widow and Divorcee women. Other Reserved category candidate will get relaxation in age limit as per state government rules and terms for Rajasthan BSTC Application Form 2019, GGTU BSTC 2019 Entrance Exam Notification. Candidates who are going for Rajasthan BSTC 2019 Apply Online Application Form & Notification should have pay Rs. 400 for Single Paper and Rs. 450 for Both Papers via online mode from an E-Mitra Centre for BSTC Per Entrance Examination 2019.
first of all, you have to take a token for BSTC 2019 exam from your nearest E-Mitra Center. You can find your nearest E-Mitra from e-Mitra official website. Candidates have to pay 25 rupees (20/- for Application form submission and 5/- for exam fee submission). You can submit only 5/- as exam fee submission fee if you want to submit your online form yourself. Get BSTC Admission Notification 2019: Selection of candidates will be based on the written exam and merit list of BSTC Entrance Exam 2019. BSTC is an entrance exam in Rajasthan, conducted by Guru Govind Tribal University, Banswara. BSTC (General) and BSTC (Sanskrit) are two courses in BSTC colleges. On the basis of merit list, Candidate will get college or institute certificate for Course conduct by BSTC counseling process. The Guru Govind Tribal University, Banaswara has released GGTU University Pre BSTC Application Form 2019 Notification on the official website. 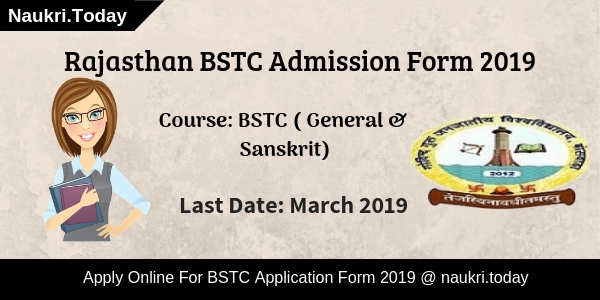 Rajasthan Pre BSTC 2019 online application was started from February 2019 tentatively and the last date to apply online is March 2019 approx.. Here we also provide the official link of the GGTU university for the BSTC 2019 Application Form Banaswara university Pre Entrance Exam Notification & Eligibility. Students are requested to apply online and follow the instruction while filling their Online Registration, bstcggtu2018.com – Apply Here. Read BSTC 2019 Notification Carefully. If Applicants Are eligible then, they are applying for Rajasthan BSTC Online form 2019. Now upload your all necessary scanned document, Signature & Passport Size Photo.